The FBI played the long game to end the Oregon standoff. 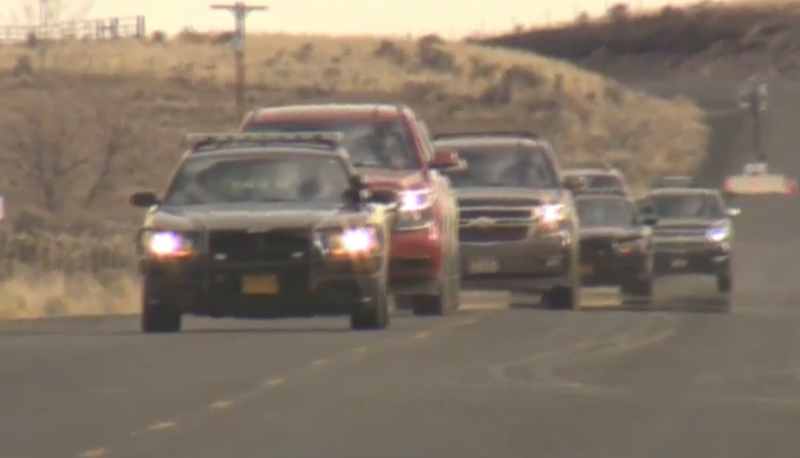 Law enforcement finally surrounded the remaining four occupants 41 days after armed militants took over the Malheur National Wildlife Reserve near Burns. The FBI and state police arrested several leaders of the occupation after 25 days. But all of these pale in comparison with the time it took to apprehend Cliven Bundy. The father of Ammon and Ryan Bundy, two leaders of the Oregon occupation, he was arrested Wednesday night at the Portland airport when he arrived from Nevada. He had flown in to support the remaining group of four, three of whom surrendered shortly after he was taken into custody. For the FBI, the wait to arrest Bundy was longer: almost two years, since Bureau of Land Management agents who tried to remove his cattle from federal land where they were grazing without permits or fees were met by a huge group of armed men who turned them away. Bundy had been illegally grazing his cattle on federal land for more than 20 years, and since 1998 was ordered by a court to remove his animals. The FBI hasn’t said much about why it waited long. Posted: 2/12/16 at 8:54 AM under News Story.